The Carcosa Interview: Greg Pak’s Been Busy! You may remember that Greg Pak was one of our first Carcosa Interviews, back in August 2014. 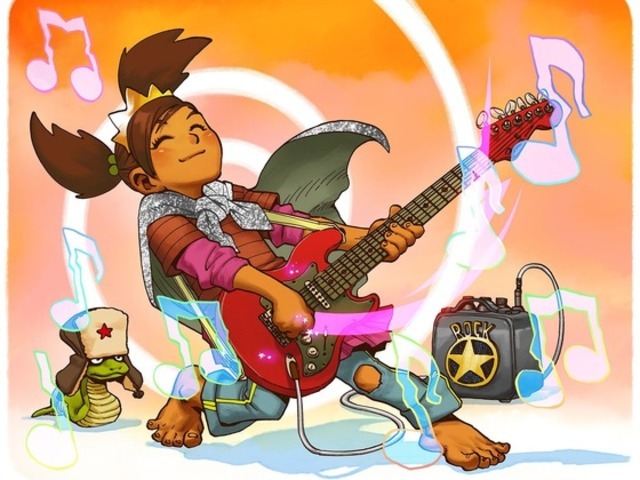 Since then, he’s had a great run as the author for the Storm comic and has launched a new project: The Princess Who Saved Herself, based on the Jonathan Coulton song, drawn by Takeshi Miyazawa. This month, he’s promoting a great comics anthology full of diverse writers and artists, Broken Frontier. We had an email conversation to find out more about where he’s been and where he sees diverse publications going. Black Nerd Problems: Before we dive into all of the new stuff you’re doing, I have a question about your just completed run of Storm: The last issue was great, the opening pages grabbed me. (As a mom with a small one at home, I could recite Goodnight Moon by heart.) Where’d the inspiration for that come from? What made you think to use a child’s bedtime story for Kenji? Greg Pak: Thanks so much for the kind words! I had a blast working on the book — and artists Victor Ibañez and Neil Edwards really brought that last issue home. The creepy voiceover at the opening was a kind of tip of the hat to all the horror movies I’ve loved over the years that use children’s rhymes and songs to great, terrifying effect. There’s something about children’s stories and chants that lend themselves to horror, and it was fun to play in that tradition. BNP: On the new stuff, it hasn’t even been a year since your last talk with BNP and you’ve been a busy, busy guy. You closed a Kickstarter back in March for The Princess Who Saved Herself and now you’re involved in another one, Broken Frontier: The Boldest Comics Anthology in the Galaxy. Tell us a bit about the anthology and the team you’re working with. Greg: The Broken Frontier comics anthology is a tremendous collection of creator-owned stories about exploring the unknown that’s being put together by the folks at comics website BrokenFrontier.com. Artist Tom Raney and I are contributing a story called Phantom Limb Ghostpuncher, about a one-armed ex-cop who discovers he can punch ghosts with his phantom limb. It’s a crazy idea I had one day a couple of years ago. I posted about it on Twitter, almost as a joke, and Tom piped up to say it had to happen. We made a Twitter-promise to do it together, and two years later, here we are! I absolutely love the energy Tom’s putting into this story. With just the teaser image, he’s made the character live and breathe as a believable human being — but he’s also totally embraced and brought out the crazy elements of our story that are going to be so much fun. I really hope the Kickstarter gets funded, because we’ve got to do this. I just spent the weekend poring over the art and stories from other contributors while cutting a promo trailer for the project, and the whole book looks like it’s going to be incredible. Please do check it out here. We’ve just got four days left to hit the funding target — hope you’re tempted to jump on board with us! BNP: So that’s two Kickstarter-funded projects in a row. What do you think is the appeal of Kickstarter (and similar campaigns)? Do you think the trend there has peaked? Greg: The huge appeal of Kickstarter is reaching out directly to your readers and supporters. If enough of them say yes, you’re suddenly able to make your dream project right here and now, without having to sell it to or change it for gatekeepers who might not understand there’s an audience out there ready for it. Of course, not every project belongs on Kickstarter. For some projects, maybe the work isn’t really ready for prime time and you actually NEED those gatekeepers in order to make it better. I’m working on a super-secret creator-owned book right now with a traditional publisher and I’m THRILLED I’m going in that direction because the editor is always asking me the right questions to make the book so much better. But sometimes you have a project and a creative team that are just so ready and the numbers all make sense. Jonathan Coulton and I felt that way about Code Monkey Save World, a graphic novel I wrote based on characters from his amazing songs. We could have tried pitching it to a traditional publisher. But we knew that could take months or maybe even years. And we had a great grasp of just what this story would be — and we had a strong suspicion that the most efficient way to sell this particular project was directly to Jonathan’s and my fans. And then the extra special glory of Kickstarter is that the campaign itself becomes part of the readers’ enjoyment of the whole thing. A good Kickstarter campaign is a community event, wherein like-minded people come together to support something they dig and share in the fun and excitement of seeing the project grow. I’m incredibly grateful to all our CMSW and The Princess Who Saved Herself backers for their support and energy. Image from The Princess Who Saved Herself. Yes, that’s her pet snake in the back. But then you ask the very good question of whether the crowdfunding trend may have peaked. And I honestly go back and forth on that from time to time. Every couple of weeks there’s a pretty high profile Kickstarter from great creators that doesn’t make it over the finish line. But then the next day there’s another project that blows past its five-figure goal on the first day. So no, I don’t think Kickstarter’s peaked. But running a campaign is hard work and relies hugely on prior relationships that have been built over years with readers — as well as a project that can be explained in a few seconds with a hook that makes people want to immediately click that big green button. Not every project will work or succeed on Kickstarter. But I think there’s enough of a critical mass of people who have had great experiences backing and running Kickstarters to keep this thing going for a while for the right kinds of projects. BNP: Obviously, you put a premium on building your stories around diverse casts of characters. Do you think that’s easier to do with Kickstarter funding? Or is the “mainstream” starting to get hip to the fact that people will pay good money for a broader array of representation? Greg: Yes and yes. One of my creative heroes has always been Spike Lee. He and Robert Townsend and Wayne Wang were making non-exploitative independent feature films with non-white leads back when nobody in the industry thought there was any money in it. But folks like Lee, Townsend, and Wang did it on their own and proved there was an audience and the industry slowly followed. We’re absolutely not where we want to be yet, but we’re much better off because of the work of independent filmmakers hustling all these years. So Kickstarter and other crowd funding sites similarly help creators prove the point that diverse books can sell like hotcakes. The Princess Who Saved Herself ended up becoming the fourth highest-grossing children’s book Kickstarter of all time. I’m hoping that contributes in its small way to helping folks see there’s a huge audience out there for books with proactive girl heroes and multiracial heroes. BNP: So what’s next? When I do this interview with you in 9 more months, what will we be talking about? Oh, now there’s a cliff-hanger worthy of any comic book. Broken Frontier looks to be a great Kickstarter, full of original work. To learn more, and to click the big green button, head on over Broken Frontier: The Boldest Comics Anthology in the Galaxy.